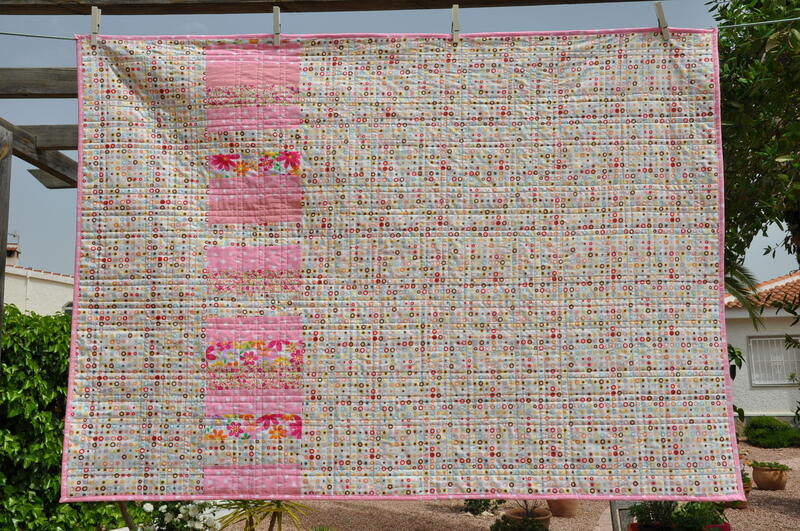 The first quilt from the Barcelona stash is finished and got a new name : Pink Dreams. 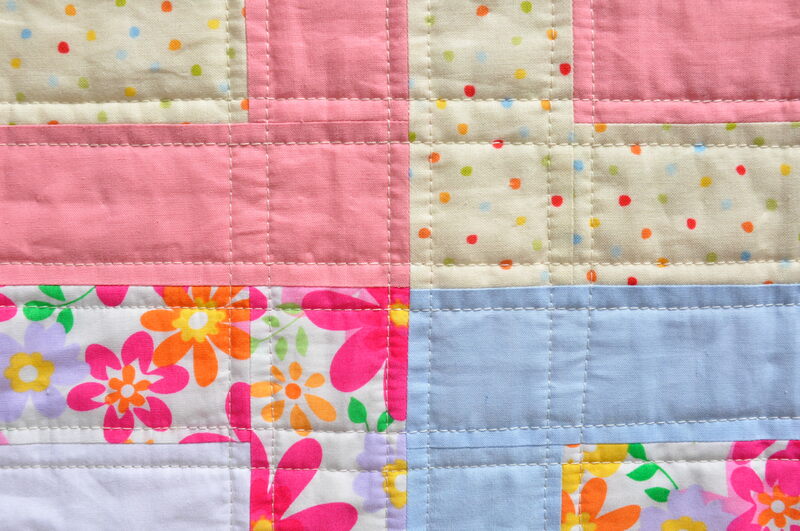 It is a modern fresh design, this time with “girlie” colors and a lot of flowers and dots. 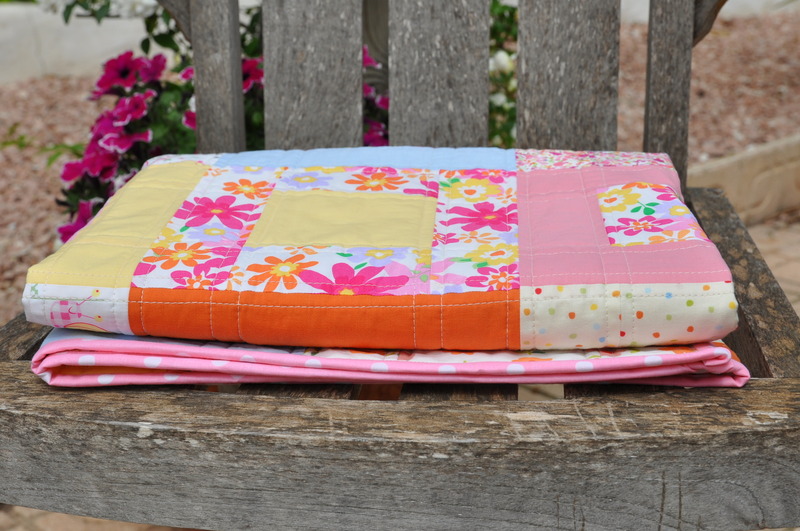 I just love the fuchsia shade the flowers have and I am looking for some more bright pink fabrics to complete my stash. 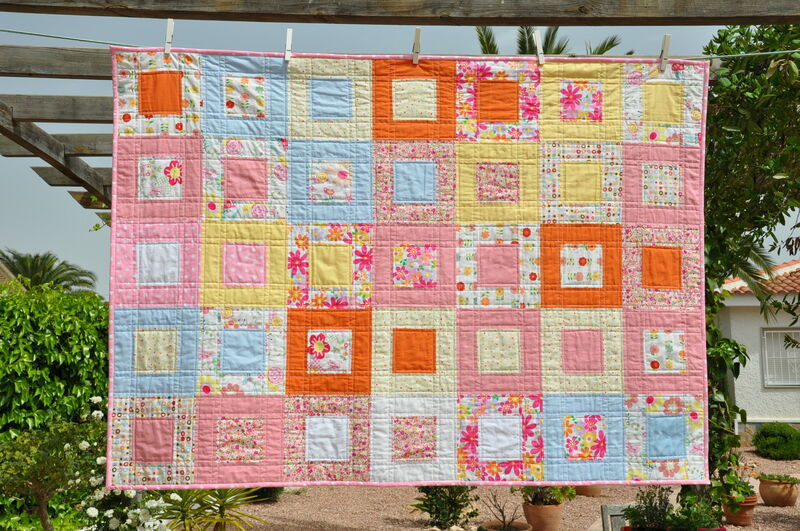 This quilt is listed for sale on my Etsy and Dawanda shops. I have really enjoyed working on this quilt. Even though it looks like a random distribution of colors and fabrics, it has a small logic behind it. I want to work more on this design and maybe make my first tutorial. I love working with graphic programs and this could be a new challenge for me. The only thing that is missing are a few more hours a day. I have ordered fabrics in the States and now I am waiting impatiently for the postman to bring me the delivery. 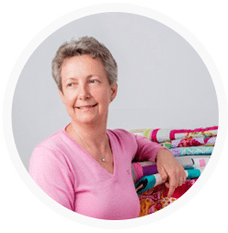 All these ideas that are running through my head – they want to get out and see the work done on the cutting mat and the sewing machine.